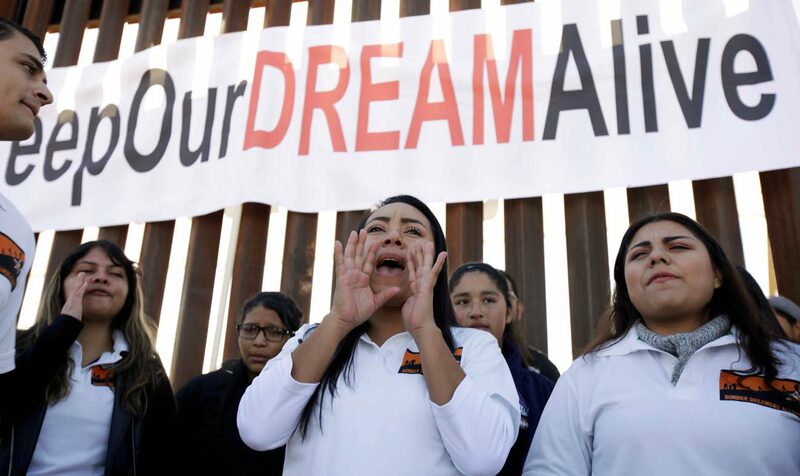 SAN FRANCISCO (CNS) — A U.S. District Court judge in San Francisco Jan. 9 temporarily blocked the Trump administration’s decision to rescind the Deferred Action for Childhood Arrivals program by March. Alsup said the Trump administration must start accepting DACA renewal applications again, but he also said the federal government is not required to accept applications from those who have never before applied to be covered by DACA. Alsup’s decision came in a lawsuit challenging the end of DACA that was filed against the U.S. Department of Homeland Security by the University of California and others. In September, President Donald Trump announced that he would end DACA, which President Barack Obama created by executive order in 2012. At the same time, Trump called on Congress to come up with a legislative solution to keep the program in place. Many are calling for passage of the proposed Development, Relief and Education for Alien Minors Act, or DREAM Act, to do just that. Trump and a bipartisan group from Congress met Jan. 9 to discuss a measure to keep DACA and include Trump’s demands for a border wall and other security measures.